Just Scored That Interesting eBay Auction!!!! So earlier today I mentioned a secret interesting auction I found on eBay. I kept it close to the vest because this is the first time in about 3 years that I have seen this item for sale! I scored the rare Funskool Lifelife yellow shirt/grey boots variant MOC! I have been checking eBay almost every day for this item. This figure has been high up on my target list for a long time because it is in the Tiger Force theme, one of my favorite sub-teams. I also picked up a MOC Funskool Eel from the same seller. I like the powder blue that this figure comes in. Can’t wait to see this in person! I also still have one more secret auction that I am waiting to pounce on, although it is more of a gamble. Categories: New Joes | Tags: Funskool, G.I. 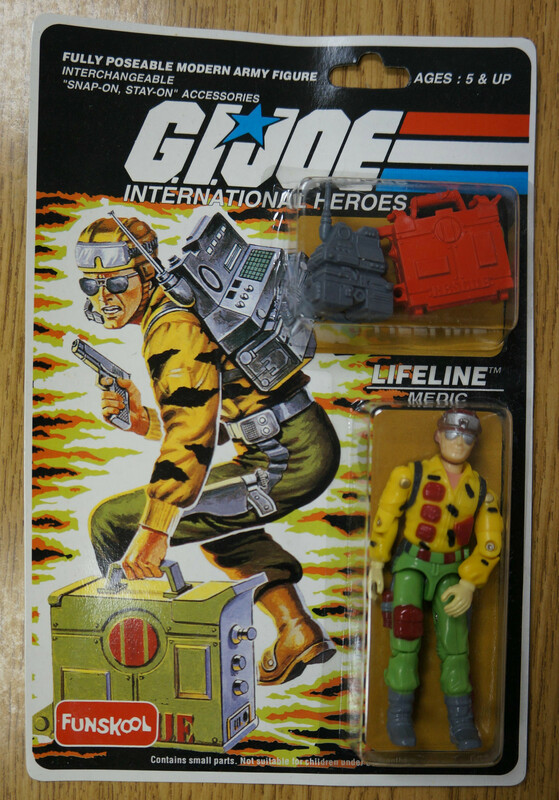 Joe, GI Joe, Holy Grail, International Joes, Leaky Suit Brigade, Tiger Force | Permalink. Awesome and congrats! I need to add more Tiger Force figures and such to my collection. All I have is a original TF Dusty and a 25th TF Flint. Are these guys pretty much the same quality wise? Not generally. The paint apps can be hit or miss on them. I would say that some of the older/rarer Funskool figures do seem to be similar in terms of quality. Sometimes it varies from figure to figure…. I have a few 80’s Joes but i’m so paranoid about placing weapons in there hands for fear of creating a stress mark or even breakage.I love em’ ta death but they can be so fragile. I’m not as afraid of that happening to the US stuff, but I certainly am with all my international figures. None of them are allowed to hold weapons.